The U.S. Nuclear Regulatory Commission has approved the transfer of indirect control of Progress Energy’s four nuclear plants to Duke Energy in anticipation of the expected merger of the two companies. The two state commissions are waiting on FERC to rule on the merger. Duke Energy Carolinas, a regulated utility subsidiary of Duke Energy (DUK), plans to issue first mortgage bonds in a two-part deal featuring five- and 30-year maturities on Monday, according to a person familiar with the deal. Duke Energy Corporation is an energy company located primarily in the Americas that owns an integrated network of energy assets. The Company manages a portfolio of natural gas and electric supply, delivery, and trading businesses in the United States and latin America. 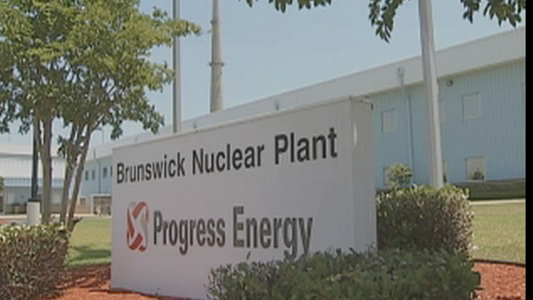 The NRC ruling involves the two reactors Progress operates at its Brunswick Steam Plant in Southport, the single unit at the Shearon Harris Nuclear Power Plant in New Hill, the single reactor Progress operates at the H.B. Robinson Steam Electric Plant and the single unit at the currently closed Crystal River Nuclear Generating Plant in Florida.